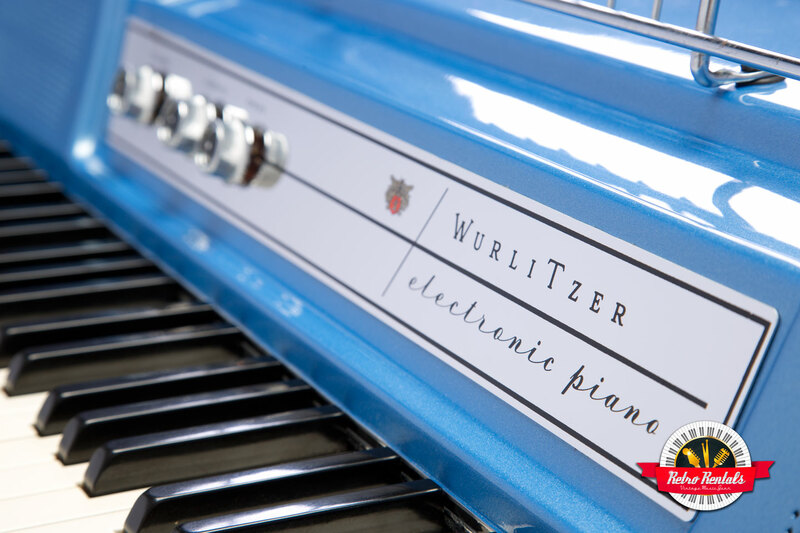 Starting with a desirable year of production, this Wurlitzer 200 has been totally revamped with the highest quality amplification available. 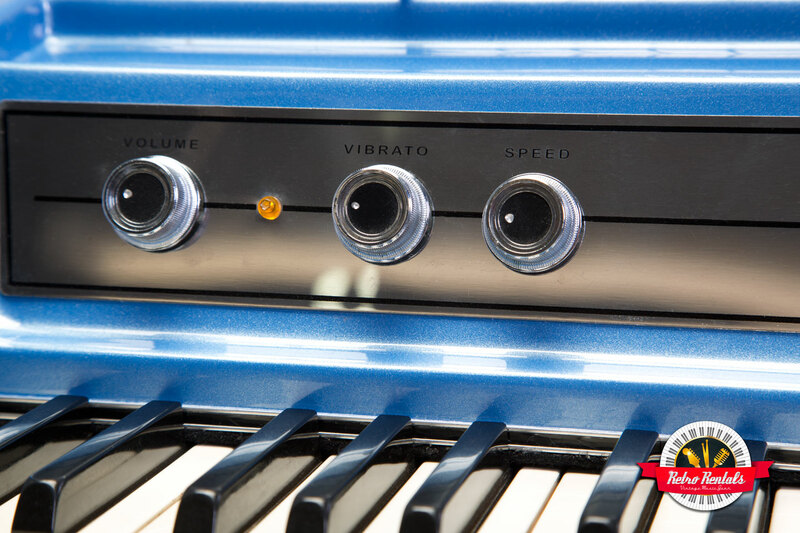 Perfect EQ curve, super low noise for impeccable recording, and best of all – variable speed vibrato, so you can finally set your own groove. 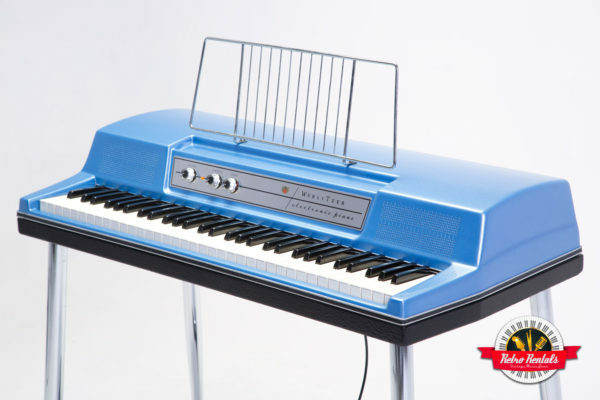 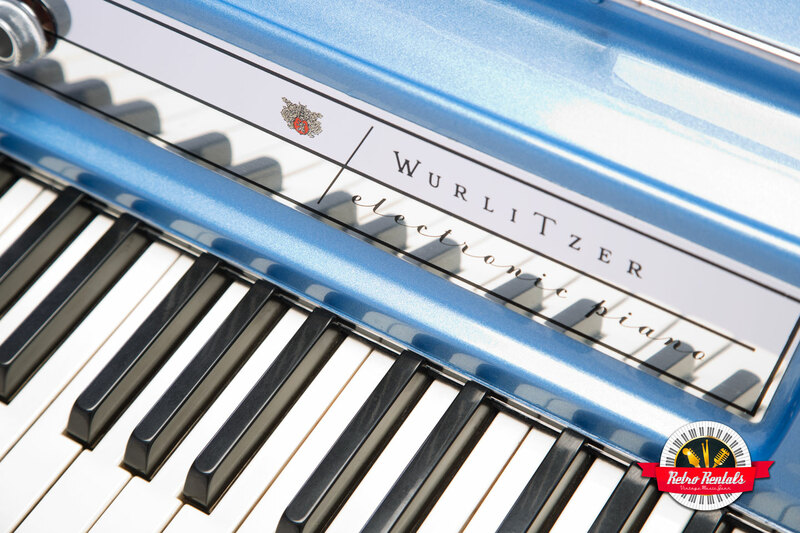 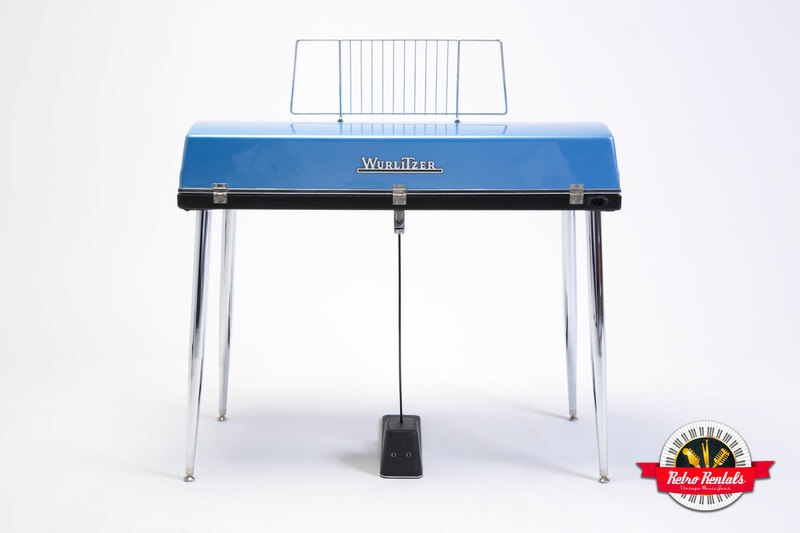 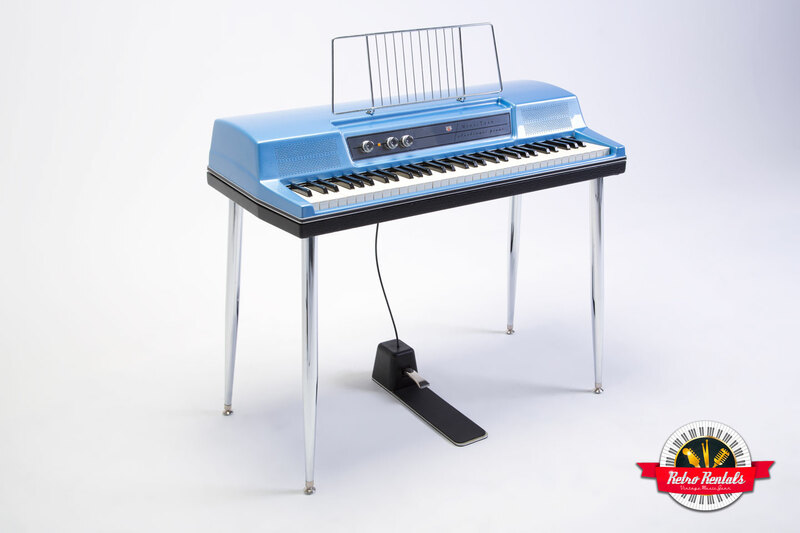 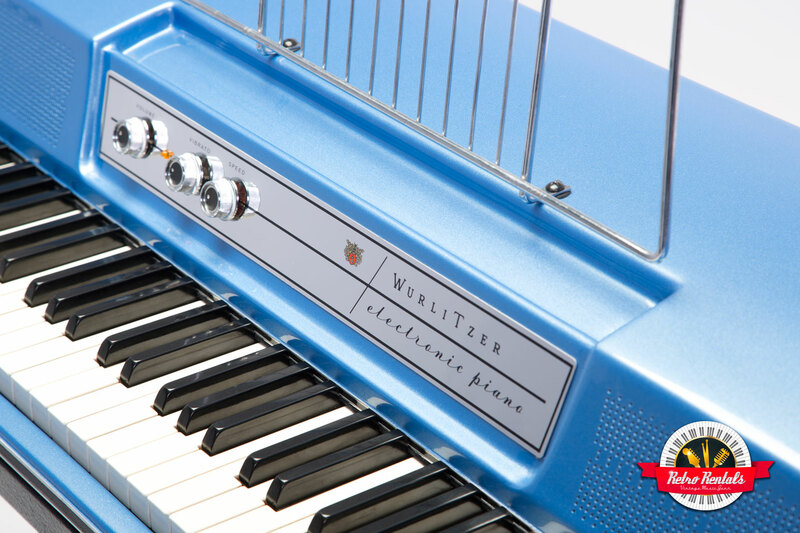 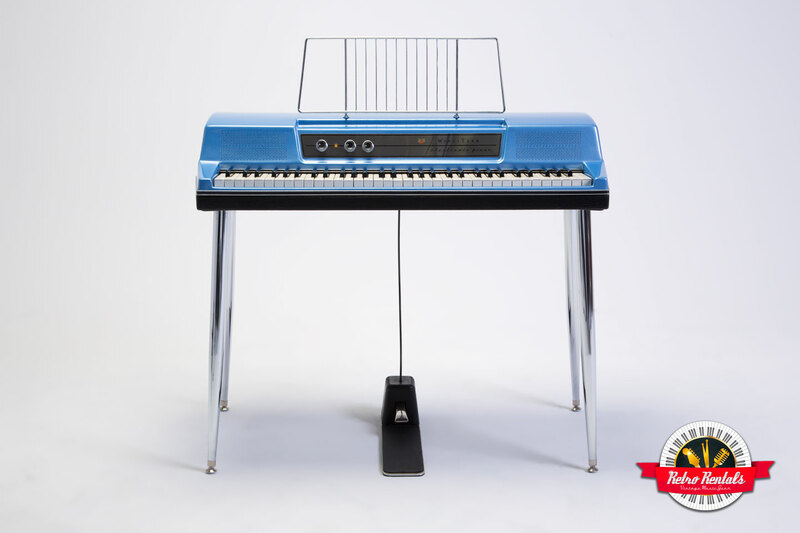 “Groove Setter” takes the Wurlitzer sound to the next level, as well as drawing eyes and ears with a customized blue sparkle lid. 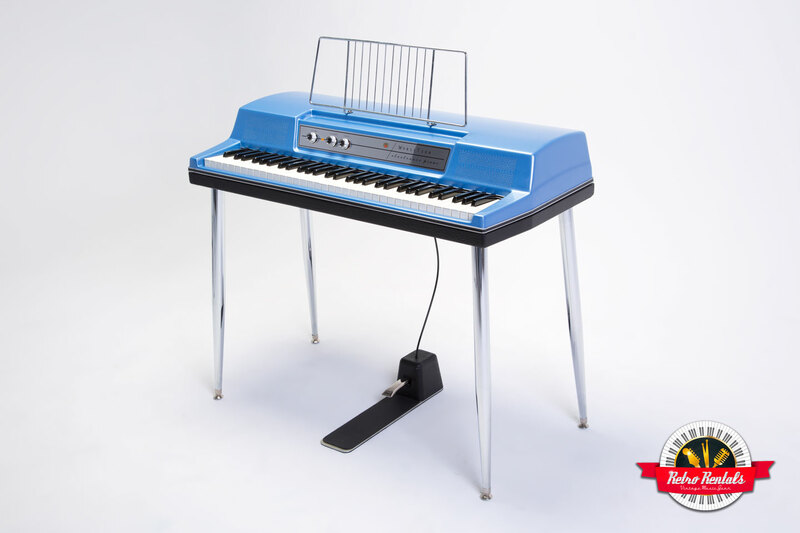 © Retro Rentals. 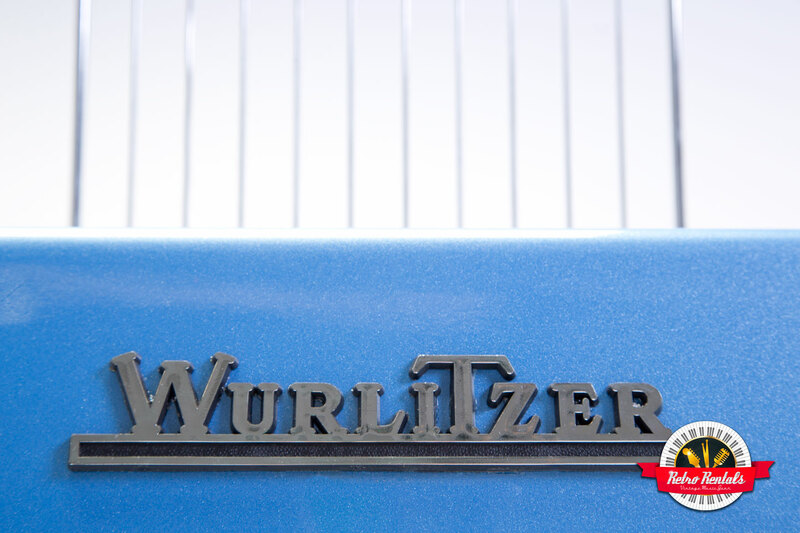 All other trademarks or registered trademarks are property of their respective owners.